A handful of pubs aim to be the oldest in Scotland. As our sign states we were licensed in 1734, before any other existing pubs. So therefore our claim is genuine - The oldest licensed pub in Scotland! 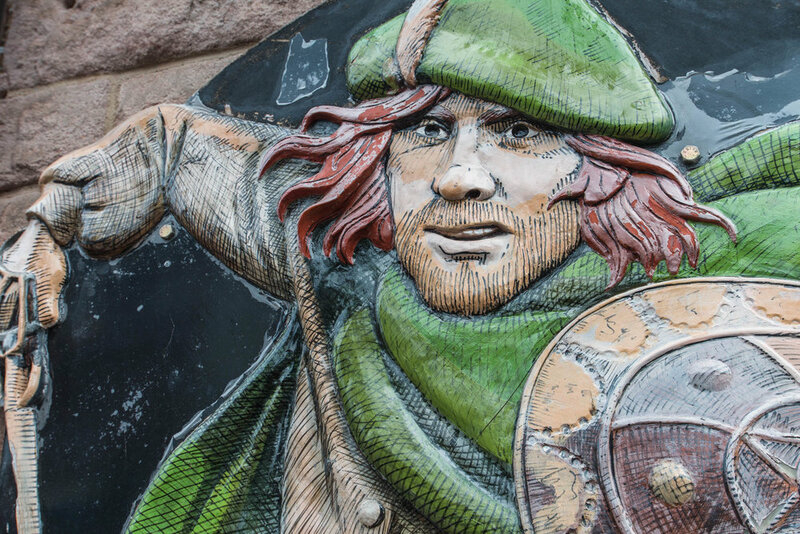 Rob Roy MacGregor was born in 1671 and an outlaw turned Scottish folk hero. The first licensee of The Clachan was Mistress Gow, one of Rob Roy’s sisters. The Rob Roy connection continues just outside The Clachan. The Village Square which The Clachan sits aside is the start of The Rob Roy Way, a long distance walk between Drymen and Pitlochry. The Clachan is a family run business, owned by Gordon and Elaine Strang. Together with their family and loyal staff they offer a warm welcome for food, drink and accommodation. The Strangs have a long association with Drymen and have worked hard to enhance the building and business, without losing any of its authentic charm.